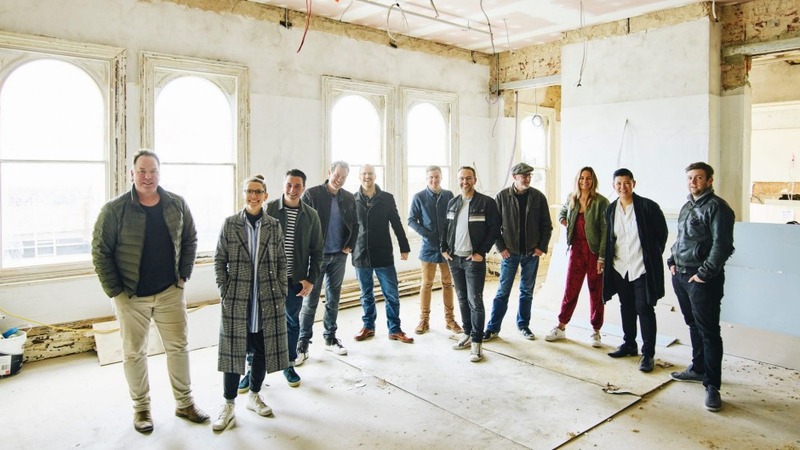 In hard hats and high-vis vests and amid the banging, scraping and sanding of a major renovation, Andy Mullins and Doug Maskiell are standing in what was once Alfred Felton's bedroom at St Kilda's Esplanade Hotel. The ghost of Felton is everywhere here, and not just in the new upper-level bar named in his honour. One hundred and fourteen years after his death, he remains a central figure at the Espy, and a guiding force for Mullins and Maskiell as they work towards giving this much-loved pub a new life. Making his fortune as a partner in a successful pharmaceutical company and an avid art collector, for 20 years, Felton lived at the Esplanade Hotel surrounded by his breathtaking personal art collection and library. 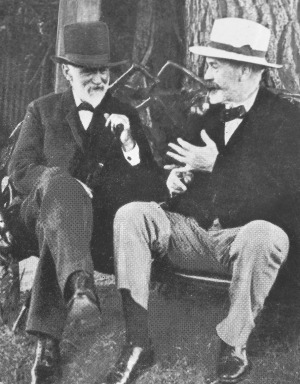 He left most of his estate to the creation of a charitable foundation called the Felton Bequest, which has funded the acquisition of many of the National Gallery of Victoria's most valuable artworks. "He was the grandfather of our arts community," says Maskiell. "He was pivotal in making Melbourne the arts capital of Australia. Without his bequest, the NGV would just be another art gallery. "Alfred would go to the docks to get the latest phonograms and hold musical evenings here. He had a seat out the front of the Espy. He would sit there for hours talking to people." Maskiell agrees his spirit still permeates the pub. "Each layer we've uncovered, even from the walls right through to his story, it's impossible to deny some sort of guiding hand." The run-down old building overlooking the pier at St Kilda, a once magnificent hotel and the permanent home for up to 80 people right up until the 1950s, certainly needed this ghostly contribution as well as the $15 million currently being lavished on it. Breathing life into the Espy has been a huge task. When Mullins, Maskiell and his team at Sand Hill Road – a privately owned hospitality group responsible for the development of 12 Melbourne pubs including the Garden State Hotel, the Prahran Hotel and the Waterside Hotel in the city – bought the Esplanade in 2016, they were taking on the rebirth of one of Melbourne's most beloved and historic pubs, with all the responsibility that accompanies such a task. Someone had to do this top to bottom. But no one wanted to, including us. The scope of the challenge is not lost on them, nor is the esteem in which the place is held. "It is so iconic and so grand and so beautiful," Maskiell says. "I've never seen anything like the way Melburnians are connected to a building. It's not the business, it's not the people, it's actually this building. Everyone has an Espy story and everyone is connected to it somehow in some way. "If we're going to be faithful to the Espy, we always knew we'd have to dig back further than the last 30 years. They were the best years of our lives at the Espy but there are 110 other years." 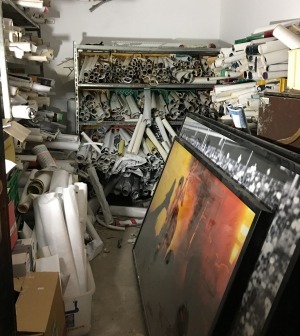 It's those other years that are now whispering their stories, whether it's the original wallpaper being scraped off 140-year-old walls, the echoey, long-disused rooms now being revealed, or the thousands of rock music posters from the 1980s that were discovered in the renovation. Each era has its own artefacts, given that the pub's storied past is bookended by its life as a glamorous seaside hotel in the late 1890s to a sticky-carpeted raucous local boozer hosting bands in the Gershwin Room for the past few decades. But Melbourne hasn't always valued the Espy. It wasn't until 1990 that it was listed by the National Trust, and a few years later survived plans to develop it into apartments. Happily, its new custodians are committed to honouring its place in Melbourne's history. Walking through the site with Mullins and Maskiell – up and down ladders, stepping past an army of tradespeople at work – it is impossible not to be impressed by their commitment to their custodial role of such a beloved building. "We're in our mid-40s now," says Mullins. "Our best Espy days are well behind us. We're aware that we are creating this for a whole new generation who don't know what you're talking about when you say, 'Wasn't it great in the late to mid '90s at the Espy?' They weren't born. A lot of our staff's CVs say 'Born 2000'." In late November the Esplanade's long story will start a new chapter. It will feature dining options in two restaurants as well as in cocktail and casual bars, music on three stages by both international acts and locals, an arts program including theatre productions in the Gershwin Room, dance classes and public access to professional podcast studios. The team envisages it as a community and cultural hub. It could have been a very different result. 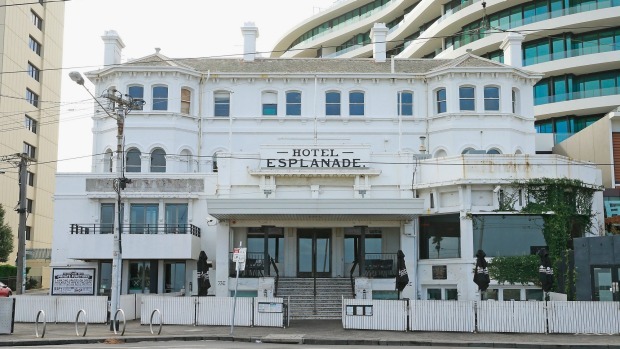 In 1995 the Esplanade was bought by Carlton and United Breweries and sold two years later to the Becton Group, which proposed a contentious 35-storey tower behind the venue. But after Melbourne music lovers waged a successful battle, the pub was saved and the development behind it scaled back. 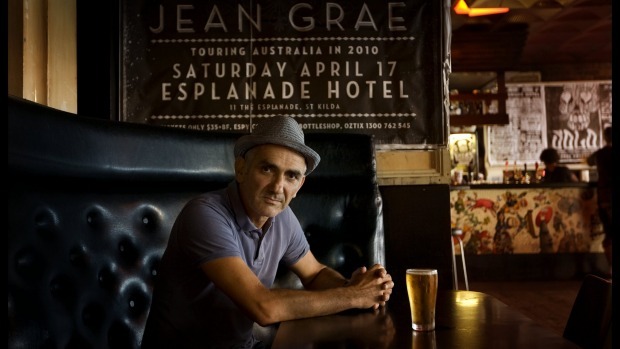 In 2006 the Espy was bought by former nightclub operators Paul Adamo and Vince Sofo. In May 2015 it was suddenly closed and remained shuttered for three years. Enter the Sand Hill Road team, who had spent many happy evenings at the Espy in the 1980s and over the 20 years they'd been redeveloping Melbourne pubs had dreamed of owning it. "The Espy was always on the list of dream venues," says Maskiell. "We knew the Espy was one we truly wanted, so I gave (owner Vince Sofo) a call and said 'Let's have a coffee and talk about your project at the Espy'. And before you know it we came to an agreement and got the keys." In 2016 Sand Hill Road took over the semi-renovated site, and then put their own plans to council to begin the $15 million rebuild. "They [the previous owners] were really considerate of who they were selling to and why, and we were considerate of 'Are we ready? '," says Mullins. "Next year is our 20th year being in pubs together. That's the apprenticeship needed to do this. This is the sum of all our learnings from all our mistakes. "Someone had to do this top to bottom. But no one wanted to, including us. So many stakeholders, it's huge, can you please everyone? But we realised that's the wrong question to ask. The question is 'Can you please the Espy?' The only entity we're trying to please is this one. "You can't help but think as you walk around that this place feels happy. When we got it there were cohorts of pigeons who'd been here for generations. It was broken. And that's not disrespecting Vince and Paul; they knew it was broken too, they were fixing it. You wouldn't take it on without [our] apprenticeship." We are standing in one of the dusty rooms on the top floor, from which you can just see the bay-end of Fitzroy Street and onto Beaconsfield Parade. Like many others in the pub, this room and this view have been inaccessible to the public for more than half a century, and now these forgotten rooms can once again be opened up and enjoyed. It underscores what an extraordinary journey of discovery the rebuild has been. "The top floor has been derelict for more than 60 years," says Maskiell. "What people know as the Espy is about a third of the space here." Sand Hill Road has brought on board a highly credentialled team. The food across the venue will be guided by Ashly Hicks, head chef at Circa the Prince in St Kilda when in 2016 it was awarded two Age Good Food Guide hats. He will be supported by a team of 60 chefs and "kitchen porter" assistants. He says the Espy will "be equally known for its thoughtful food and beverage just as much as live music". The plans sound both ambitious and tempting. On the ground floor is a large open kitchen with twin wood-fired ovens, asado grills and a French rotisserie. It will feature, Hicks says, a "super welcoming" menu including southern crayfish rolls, wood-fired chicken wings and pizza and a grill and rotisserie section highlighting organic vegetable-focused dishes. On the first level will be a Mya Tiger, a Cantonese restaurant helmed by former Longrain head chef Sarah Chan. From 11am to 10pm it will offer a range of traditional dishes such as roast Macedon duck, char siu western plains pork neck and Spencer Gulf King Prawn dumplings. There will be a snack menu in the Ghost of Alfred Felton bar featuring, Hicks says, "classic iterations of beef tartare, jardiniere pickles and prawn cocktail". Wine author and consultant Matt Skinner will oversee the wine offering. Skinner says the Espy wine lists "will balance great producers with great value". Peter Bain-Hogg, executive producer of TV's Rockwiz for the past 14 years, will oversee the music on the three stages, most of it unticketed. Shows by major artists will be in the Gershwin Room, a stage in the round in the Main Bar will focus on "contemporary electronica" and the "South Side Folk Club". The Basement will be for, as its name suggests, the bayside folk scene. Friday nights will feature emerging young bands, Saturday night hip-hop producers and there'll be comedy on a Sunday night. Doug Maskiell says it was natural that cultural sensitivities have underpinned the project. "If we wanted to build a big food and booze pub and scrap live music and not care about the heritage of the building we just wouldn't buy the Espy," says Maskiell. "It has to be part of your DNA to want to engage it, want to encourage it, make the building even grander." This quest for authenticity and respect for the pub's past is seen in the work of Meg Milton, a British set painter who has worked in London's West End. Milton has spent months ensuring the Espy's newly plastered walls – framed by the original architraves and skirting boards – are rendered and painted in a way that is "authentic and heartfelt". As we move through the site, we reach the Ghost of Alfred Felton bar, where Maskiell shows me a timber bar and timber fridges with steel handles bought in Paris and shipped over. "We've gone to all corners of the earth to buy couches, coffee tables, chairs, paintings and old books for the library," he says. "If we get this project right, it will mean you are in your board shorts with a mate drinking while next to you there's a black tie dinner happening, and it all just works," says Mullins. "We're opening our doors up to full diversity, and let's see what Melbourne throws back at us. We're almost challenging Melbourne now. Everyone said, 'I miss the Espy, I want the Espy open'. We're going to open it with 10 bars so surely you'll be able to find the one you like." Says Mullins: "It kills us every time a pub gets dropped for an apartment building. You are stripping away part of this city's history. And you can't rebuild these 140-year-old pubs. "It's a privilege that we take so seriously, because it's the Espy. I think everyone's going to love it. I think you'd be a weird person if you didn't walk in these doors, see the three stages playing music, see the artists in residence, see the employment of young people in this part of town, and see it's part of St Kilda's resurrection… Can you imagine us in our 20s, if someone built this and we were just round the corner? We'd be stoked." Maskiell is right that everyone has an Espy story. I have some of my own, notably including interviewing Paul Kelly there, the artist who once sang of the Esplanade, "I'd give you all of Sydney Harbour, all that land and all that water, for that one sweet promenade".